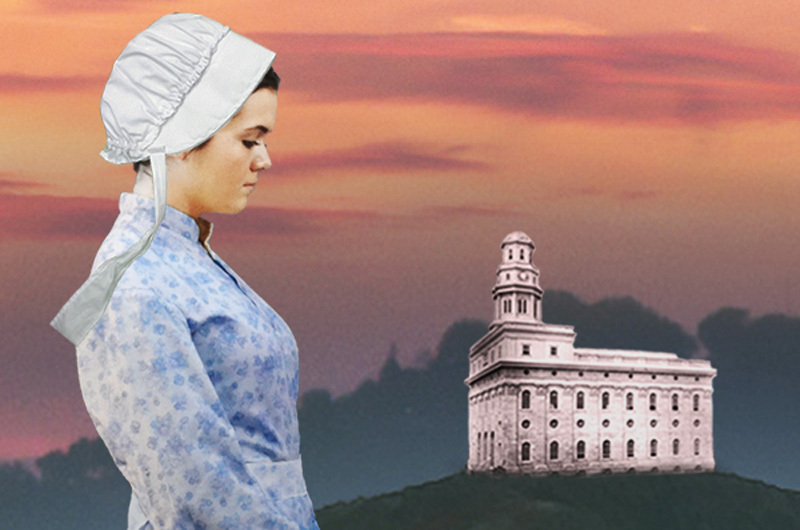 New novel weaves together several historical events pertaining to the Mormon church. Al Woollacott’s first novel, The Immigrant, is the story of John Law, the author’s direct descendent, who arrived in Boston in 1651 in chains as a Scottish prisoner of war. The novel chronicles Law’s many challenges in the new world which include the dangers posed by a Puritan theocracy, English bigotry, and restless Native Americans. In a new book entitled The Believers in the Crucible Nauvoo, a second novel of a planned trilogy, Mr. Woollacott tells the story of another distant relative named Naamah Carter. The novel is set in Peterborough, N.H. and Nauvoo, Ill. This meticulously researched novel weaves together several historical events pertaining to the Mormon church — their struggle to survive in a hostile environment, the martyrdom of Joseph Smith, and the succession of Brigham Young. Needing a strong support group following the death of her parents, Naamah joins a growing group of Mormons in Peterborough. Though the Mormon church flourishes in Peterborough, growing community resentment leads Naamah to join thousands in Nauvoo, the place selected by Joseph Smith to create an earthly Zion on the Mississippi River. There, her previous acquaintance with John Twiss blossoms into marriage. Sadly, however, her faith is tested when her husband tragically dies from a malaria-like disease, and the community is threatened with violence from people longing to destroy Nauvoo and the emerging Mormon church. With the western exodus of the faith imminent, she faces a decision that runs counter to her soul and all she holds sacred—whether to become Brigham Young’s plural wife. Naamah’s interaction with “the Lion of the Lord,” Brigham Young, unfolds as a unique love story. She first beholds him on a Peterborough stage where she is awestruck. In Nauvoo their paths cross several times, and they work together at the Temple for countless hours as the community prepares to exit Nauvoo. Brigham’s marriage proposal and Naamah’s deliberations are skillfully written. In the end, the various events in Naamah’s life come together in a way which enables her to say yes. Though not a Mormon, Mr. Woollacott’s handling of Joseph Smith’s teachings and the events surrounding the early history of the Mormon church is impressive. The major characters are well drawn and believable. The book poses moral questions, and documents a strange and rather disturbing love story. Mr. Woollacott’s easy-to-read style moves the reader along in an entertaining fashion which makes The Believers in the Crucible Nauvoo a novel you won’t want to miss.